In 2007, April 2nd was designated as World Autism Awareness Day by the United Nations General Assembly. Since its inception, autism awareness and acceptance have increased and a better understanding of neurodiversity has arisen but there is still more work to do! We invite you, your school, workplace or sports team to host a fundraising event anytime in April to celebrate World Autism Awareness and Acceptance! Fundraising events allow you to join our team to ensure families with loved ones on the autism spectrum get the information and support they need! Click here to visit our fundraising events page. We hope that you will join us to help spread our message from coast to coast. Don’t forget to tag @AutismCanada in your photos to be featured on our pages. Join the fun by hosting a FUNdraisertoday! 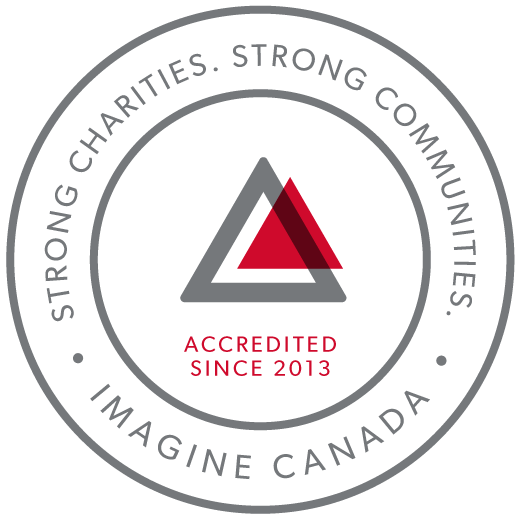 Join thousands of Canadians from April 2nd to October 31st by wearing your shirt inside out for the day. Register today. Inside Out For Autism is the only national fundraiser for autism taking place right across Canada. This event brings people together to raise awareness, acceptance and funds for Autism Spectrum Disorders (ASD). Schools, companies, sports teams and more can register their team online and access event materials. Join the fun! Have an awesome speaker come to your school or workplace! Chantale Pomerleau has delivered school presentations on autism awareness and acceptance to over 10,000 children from JK to grade 8, and she continues to receive positive feedback from principals, teachers, parents and students. As a sister to two brothers on the autism spectrum, Chantale provides a unique perspective as a sibling touched by autism and encourages her audiences to view neurodiversity with the same compassion. 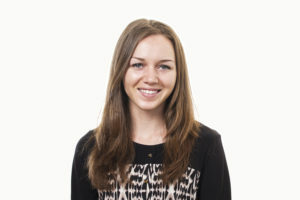 After graduating with an Honours BA in Psychology from the University of Guelph in 2015, Chantale received Guelph’s Top 40 Under 40 Award and published her thesis on Pain Assessment and Management in Children with Intellectual Disabilities. Please email karen@autismcanada.org for more information. New this year: Golf Shirts and Ball Caps! Autism Canada is excited to be working with Festival Promotions for our 2019 clothing campaign. This year’s design, Autism – See The Spectrum Differently, is offered on a variety of sensory-friendly styles and colours, for all ages. Every shirt purchased includes a donation to support Autism Canada’s national autism initiatives and spreads autism awareness and acceptance. Place your order now and we will ensure it arrives for April 2nd, World Autism Awareness (and Acceptance) Day. Step 1 : Order your shirt on the Autism Canada Store between February 4 and March 1, 2019. 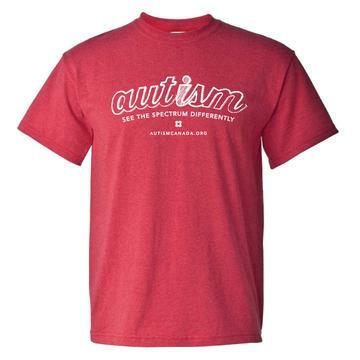 Step 2 : Once you receive your shirt, post your shirt selfie on social media and tag @AutismCanada with #SeeTheSpectrumDifferently to be featured on our pages.